In this article, we will cover everything there is to know about healthy dog treats. 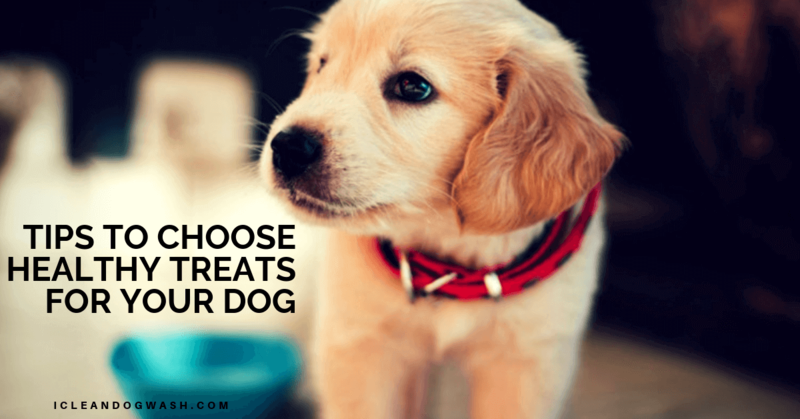 All dogs love treats be it healthy or non-healthy. It is our duty as responsible parents to refrain them from unhealthy treats by not purchasing them. Instead, you need to have a clear understanding of what is healthy and what is not. You will then be able to make the correct choice while getting them. The most colorful treats in the pet store are the most unhealthy options more often than not. So we suggest you to not just rely on physical appearance while choosing. You must understand how they are made and then make the right choice. If you have taken care of your dog for a few years you will know everything there is to know about them. This may range from their favorite flavor to some ingredients that their body just cannot tolerate. If they are allergic to certain ingredients, we advise you to stick to treats made with just a single ingredient so as to overcome this problem. Some of the most popular single ingredient treats available in the market are Chicken, Venison, Tripe, Fish, Liver, Rabbit, Lamb, and Duck. If you are in the market for healthy treats for your dog, looking at the back of the packaging can be more useful than looking at the colorful graphics at the front of it. To ensure that the treats have been made with high-quality ingredients in the best possible manner, look for those that are made in the UK or the EU with locally sourced indigenous ingredients. Don’t ever buy treats made in China and the US (in a few cases) as they are of relatively inferior quality. Bad Ingredients – are used to make up treats that list its ingredients by category. For instance, if you find any of the following phrases on the ingredients section of the packaging then it belongs to this category – Animal and meat derivatives, oils and fats, Derivatives of vegetable origins and sugars are some of the examples. Good Ingredients – Treats with a clear list of ingredients that are recognizable are the way to go to ensure that the dog treat is made of healthy ingredients. Some of these healthy ingredients are duck, egg, sweet potato, oats, cow milk, yak milk, salt, lime juice, and flaxseed. A general rule of thumb is that the ingredients present at the back of the packaging should consist of only those ingredients that can be purchased in the supermarket. 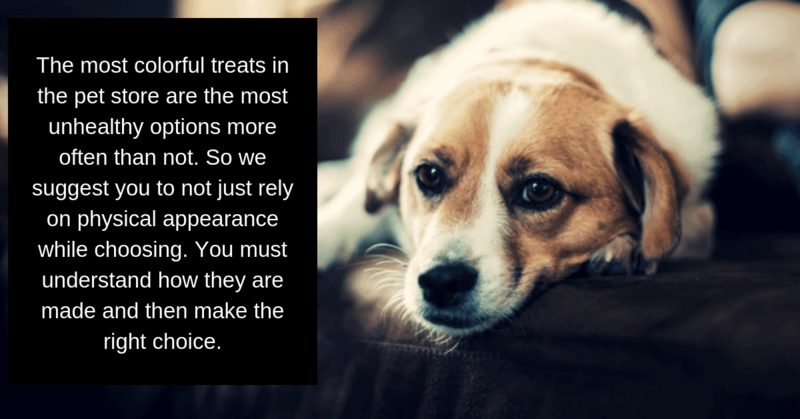 If you are really concerned about your dog’s health and want what is best for them then you may consult a Vet before choosing any of the treats to ensure that it is safe for them. Some Vets have automatic pet washing machines in their clinics. These may have a complimentary dog treat lending machines along with them. These machines provide free treats prescribed by the local doctor after dog wash in the dog wash machines. Storing Pet Food The Right Way!